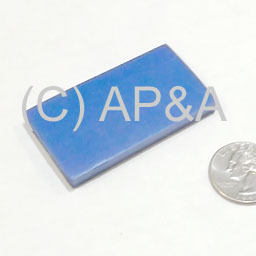 Self-adhesive blue rubber bumper pad. Mounts on front of bookcase frame. Used on both regular Addams Family and Addams Family Gold games. Measures 2-1/4 x 1-1/4 inches. 1/4 inch thick.